It’s Thursday evening and Mark Daniels is teaching a new game to Sammy Setiawan and Calvin Cox. The basement of Better World Books is beginning to fill up with people looking for a little friendly competition. The normal bookish calm is broken when a player at a nearby table celebrates a triumphant dice roll and his opponents bemoan their fate. An artist by day, Daniels moonlights as Board Game Liaison for Better World Books. When he is not painting, he hosts board game events and curates the selection of games stocked and sold by the downtown Goshen bookstore. Every Thursday night is Game Night. It’s free and open to the community. Gamers start trickling in around 4 p.m., and soon there are anywhere from a dozen to 35 people rolling dice and drawing cards. Some come for on-going role-playing games like Dungeons & Dragons or Pathfinder. Others compete in tournaments featuring collectible games such as Dice Masters or HeroClix. Other gamers prefer casual party games or table top strategy games like Settlers of Catan and Ticket to Ride. On these nights, the store extends its hours until 10 p.m. to keep the dice rolling. While some players bring their favorite games from home, others select games from Better World Books’ extensive demo game library. The store has about 200 games that customers can try out for free before they buy. Daniels came up with the idea after he was hired a year ago. Even in the age of big-budget video games, tabletop gaming is enjoying a surge in popularity. Marketing groups estimate that board game sales have risen by 20-35 percent in the past year. More and more titles are published every year by established game publishing companies and — thanks to Kickstarter — independent game designers. The social nature of tabletop games is a large part of their appeal. 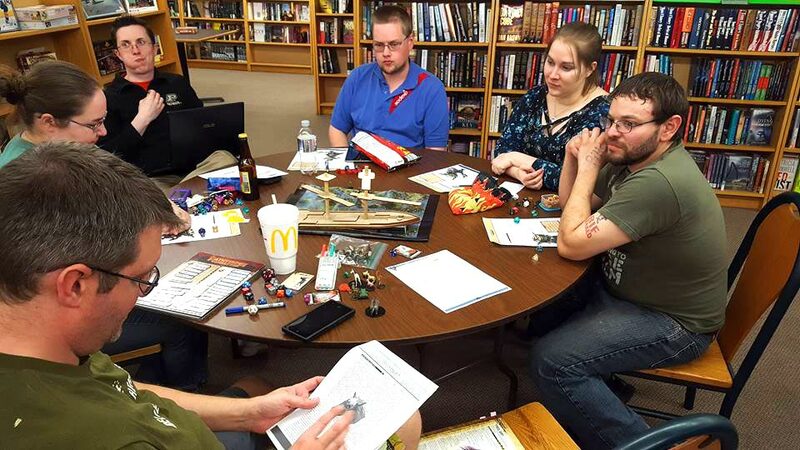 Community game nights provide the opportunity to play with others, make new friends, discover a new favorite game, or play that game you love but can never convince your family to play with you. Better World Books also hosts a number of special game-related events. 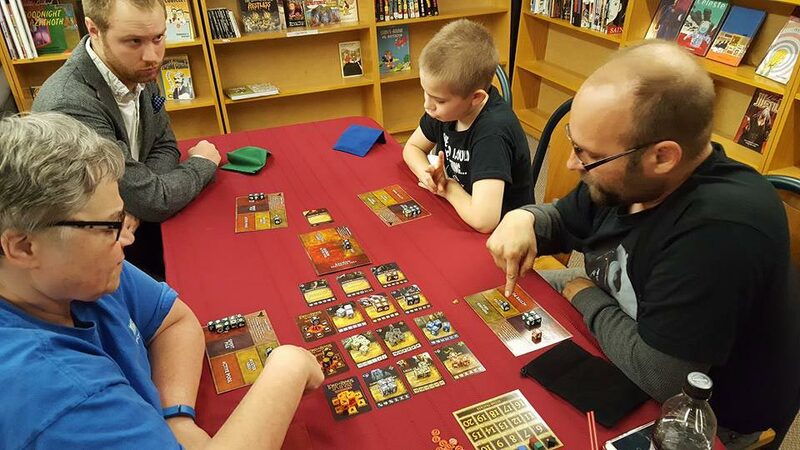 On Saturdays, the store demonstrates newly published games, giving game aficionados a sneak preview of brand-new games — sometimes before they are available to the general public. On the third Saturday of the month, the store hosts Game Day, a 12-hour-long gaming time. “That’s just a general time when you know people are going to be here playing good games,” Daniels said. 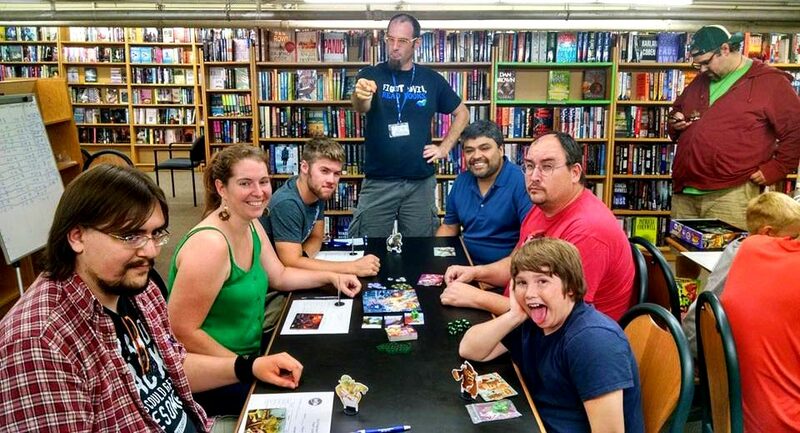 Game Night makes downtown Goshen a popular place to meet new friends and enjoy a favorite game.